This #GivingTuesday, the Arlington Public Library invites readers to Love Your Library! Shop librarian-curated Amazon wish list to donate books to the collection. Each book on the wish list has been specially chosen as something our community will love to read, listen to, or watch. Contributing a book to your library’s collection gives a powerful gift to the community and is a great way to begin your holiday giving season. 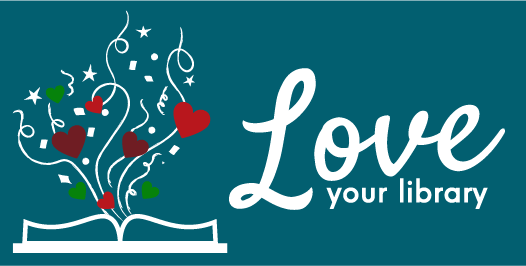 Love Your Library began in the summer of 2018 to allow library patrons to directly impact their library collection. Since then, gifts from the community have included family’s favorite movies to watch together; beloved picture books that grandchildren have outgrown; and memorials made to honor loved ones. It’s easy to make your own contribution to the library on #GivingTuesday, or whenever you’re shopping online. Visit the Arlington Public Library’s Amazon Wish List. Check the “Contains Gift Items” box. In the area for a “Free Gift Note,” please provide your name, telephone number or e-mail address, and what you would like it to say on a bookplate inside your donated book. Donated books will receive a special bookplate inside the front cover when we receive them. To be recognized with a bookplate, make sure to check the “Contains Gift Items” box during checkout. In the area for a “Free Gift Note,” please provide your name, telephone number or e-mail address, and what you would like it to say on your bookplate. Unfortunately, we can’t connect books to their donors without this information in the “Free Gift Note” field, so don’t forget to fill it out. Gifts without these details will remain anonymous. After they’re received, Love Your Library books will be processed and added to the collection for patrons to check out. #GivingTuesday is a global day of giving that harnesses the collective power of individuals, communities and organizations to encourage philanthropy and to celebrate generosity worldwide. Following Thanksgiving and the widely recognized shopping events Black Friday and Cyber Monday, this year’s #GivingTuesday will take place on November 27th and will kick off the giving season by inspiring patrons to collaborate and give back. Click here to view the wish lists and give the gift of books back to your library.